Users of the IATA Dangerous Goods Regulations are encouraged to review the Significant Changes to the 60th Edition. 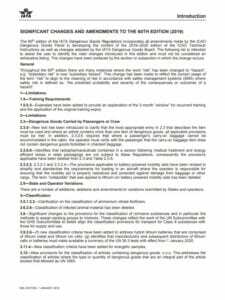 This document is available for review/download by clicking on the image below, or at directly on the IATA website. These changes are effective 1st January 2019.